You know, we all go through phases of life where we decide we need to cut back. Things like wanting to save extra money for a trip or to pay off debt. Life changes coming up like a new baby or trying to buy a house. Or tough times like a lost job or huge medical bills. 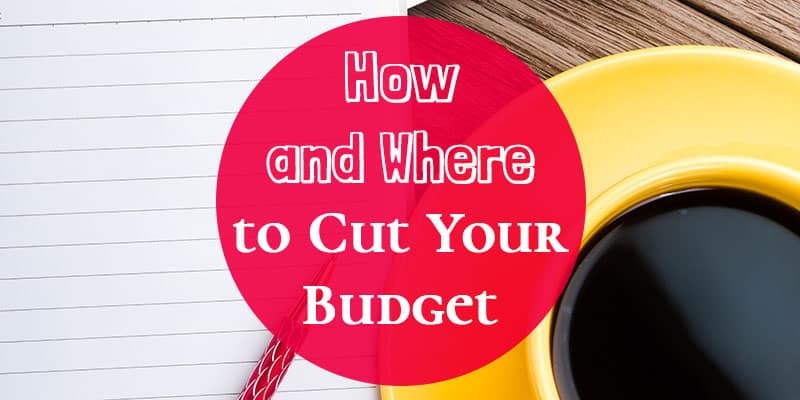 Whatever your reason is for trying to cut your budget, it can be hard to know how to get started and where to cut your budget. Don’t wait until things are really bad to make changes to your budget. Start cutting back and saving as much as you can as soon as you catch a whiff of tough times or big changes coming. If there are rumors of cuts being made in the next few months at your job, it would be wise to buckle down and save up some extra money in your emergency fund just in case. If you find out you are having a new baby, you have a few months to save up as much as you can to cover the loss of work hours, medical expenses, and extra costs. Start now. If you are going to be buying a house in a few months, try and cut your budget so that you have extra money saved. There are always tons of extra costs when you buy a house besides your downpayment. Things like moving expenses and supplies for painting add up really quickly. It’s always best to start saving early. You might be able to prevent getting to that “emergency/panic” stage because you have been preparing and cutting back early enough to be prepared for tough times and changes. It’s best to start cutting back your budget with your variable expenses. Parts of your budget like your grocery budget, eating out money, and entertainment money are variable. You have control over how much you spend on these things. If things are really bad, I would cut eating out and entertainment out of my budget completely. Those things aren’t important if you’re not sure if you will be able to pay your mortgage. If you pay for cable, get rid of it or at least change your package to a cheaper one. There are almost always ways to cut back your food budget. You probably have food in your pantry or freezer that can be eaten so that you don’t need to spend as much on groceries for a little while. We save money on groceries by redeeming rebates through the Ibotta app. They have rebates available to earn money back on fruits and veggies as well as non-name brand items, which is awesome! If you use my link (click here to sign up) you will get $10 added to your account when you redeem your first rebate. You might even have a receipt in your wallet right now that you could use. Plus, if you invite your friends to use Ibotta, you will get $5 when they redeem their first rebates. There are all kinds of community programs out there that provide at least some amount of food that will ease your budget as well. Another way to cut back is with your utilities. Be diligent about turning off lights and unplugging appliances. Keep your house a few degrees warmer in the summer and cooler in the winter. You can skip using your dryer by hanging your clothes on a rack or line after they’ve been washed. It all helps. If you’ve cut all that you can out of your variable expenses, take a look at your fixed expenses/regular bills. Are there any bills that you can get rid of completely? Maybe you have a land line at your house that you can get rid of because everyone always uses cell phones. Or maybe it will save you money to have less cell phones. If you’re paying for cell phones for your kids, can you get rid of those (or have multiple kids share a phone)? How often will they ever be somewhere where there isn’t someone they can borrow a phone from if they need to call? I know it’s not ideal, but when times are tough, you need to re-examine every expense. Next, you can try to negotiate other fixed bills. See if you can get a discount for your internet, phone, or cable. Search for other insurance providers for your car and homeowner’s/renter’s insurance. You might be able to keep the same coverage and pay less with someone else. It’s that whole “necessity is the mother of invention” idea. When it’s important, we find a way to make it work. When we need to, we can find new ways to save money to make it through tough times. I’d love for you to follow me on Facebook, Pinterest, Instagram(if you like pictures of adorable dogs, food, and flowers), and/or Twitter. You can also Subscribe Via Email in the right-hand column to make sure you don’t miss any new posts. ⇒ How have you cut your budget during tough times or big life changes? Great post, Christine! When we decided to cut back, we cancelled our DirecTV [paying a cancellation fee, which was the cheaper route] and switched to Netflix. I’ve also cut my cell phone bill from $65 a month to $50, and expect it to drop to $25 next month! These two things alone save us $85 a month! We also garden to help cut down on our grocery bill, because that can definitely get out of hand quickly! That’s awesome Erin! I think we will get some cucumbers and squash from our garden next week and I’m so excited! It’s fun and it saves money. These are some really great tips.Saving this post. It’s always wise to start saving early, you never know when trouble will strike! And it’s also a great idea to look at variable expenses early! Definitely some great tips! I do many of these myself already for sure! Great post! I love eating out and trying new restaurants but that’s always the first thing I cut back on when I’m trying to save money. It’s much harder for me to cut back on fixed expenses since I don’t have that many to begin with. I like the challenge of saving a bit more this month than the previous months. We have been working really hard on our grocery bill and we’ve been doing so well with saying no, to others an ourselves. It’s been nice seeing our savings grow. That’s a great idea! 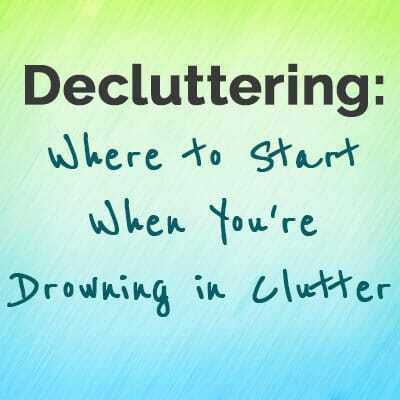 It usually works best to make small changes along the way instead of trying to overhaul everything at once. Ouch! You’re hitting me right where I need to be hit. We definitely need to do some cutting soon. Good luck Georgiana! You can do it! These are all really great tips for budgeting. I like how you separated out variable and fixed expenses, I don’t think most people really think about separating the two in their minds. I completely agree! I like what you said “Prevention is the number one step to creating change”. Yes! Yep, the hubby and I are really starting to look at our variable expenses and we’re finding that there are definitely some ways we can save. It might not be so fun, but totally worth it! Great post! That’s great Kayla! It can definitely be hard to cut back, but we’ve found that once you get used to it, you hardly miss the things you cut back on. Great tips! And I agree start early! I knew before having kids I wanted to be a SAHM. So we made sure to save up some money to get us through the first year. 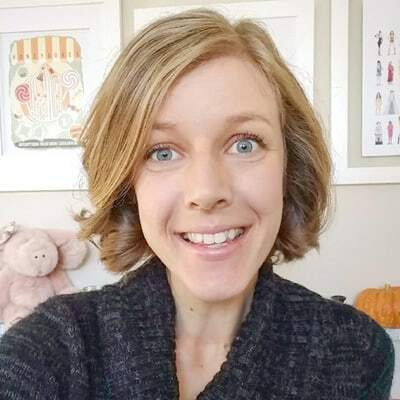 After learning how to budget and live within our means that first year, we were able to stretch my SAHM gig from one year to five. Once we paid off our cars we didn’t run out to get new ones. Our cars are older but still in good shape and we enjoy not paying a car payment. We also unbundled our services- and only use our cable provider for Internet service. It saves us over $100/month this way. We also kept our older cell phones (not smart phones) for a really long time before upgrading to new ones. There is so much we don’t need that we’ve learned to cut out! That’s awesome Roxanne that you were able to do all of that so you could stay home! Amazing! This is wonderful! Since I stay home with our son and my hubby doesn’t make a ton we’ve done a lot of these to make our budget work for us! Thanks Susannah! 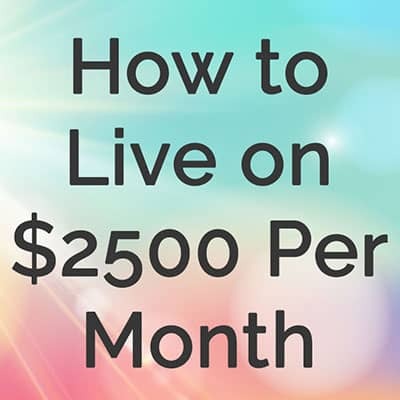 I’m you are able to make your budget work so that you can stay home. These are all great tips! I cut mine right down to the bone when our income dropped, but it’s definitely important to allow yourself some fun money! We try to allow for some fun money here and there. We’ve got money that we set aside for some fun summer activities, so it’s nice to have that! Need this right now for sure! The first thing we cut was eating out, which we miss, but it really made a difference and I love cooking at home more often!